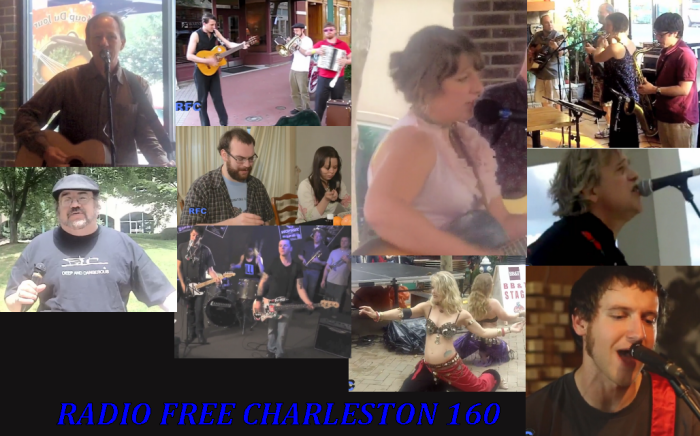 This week we travel back to early June, 2012, for a special preview edition of Radio Free Charleston for FestivALL 2012. This bonus-length, forty-five minutes how includes music from John Lilly, Buddy Black, The Demon Beat, QiET, Sasha Colette, Comparsa and Brian Diller. We also have a trailer for David Smith’s film, Ladybeard, and lots of footage from previous FestivALLs, including bellydancing and other cool stuff. Host segments were shot all over town, in places where FestivALL stuff would be happening later. Of course, FestivALL is still going on, and is one of Charleston’s cool summer events. Next week we’re going to skep a couple of shows ahead in our chronological presentation of Radio Free Charleston, because we ran our actual FestivALL shows in this space just a few months ago.